Beginning in March of next year, REAL IDs will be available – but not mandatory – for Pennsylvania residents who want them. Pennsylvanians will only need a REAL ID-compliant driver's license, photo ID card, or another form of federally-acceptable identification (such as a valid passport or military ID) to board a domestic commercial flight or enter a federal building or military installation beginning October 1, 2020. On Thursday, Dec. 13, Wilkes-Barre/Scranton International Airport will host a REAL ID Mobile Verification Unit event from 5-8 p.m., on the main level of the Terminal Building. You will be able to pre-verify for REAL ID without visiting a PennDOT Driver License Center. Please click here for information on what you need to bring in order to pre-verify. ….colder temperatures and a reminder that Pennsylvania’s Low-Income Home Energy Assistance Program (LIHEAP) application period for 2018-19 is still open. Please click here for more information, including income guidelines and an application. The website at www.penndot.gov/winter has a complete winter guide with detailed information about winter services in each of PennDOT’s 11 engineering districts. The site also includes tips for motorists to prepare their vehicles for winter travel. The public can also access travel information on nearly 40,000 roadway miles year-round at www.511PA.com, and during the winter they can find plow-truck locations and details of when state-maintained roadways were last plowed. The information is made possible by PennDOT’s Automated Vehicle Location (AVL) technology, which uses units in each of the more than 2,200 department-owned and rented plow trucks to send a cell signal showing where a truck is located. Last month, the Department of Labor and Industry’s Unemployment Compensation (UC) Service Centers transitioned to a new phone system. Claimants are also encouraged to visit www.uc.pa.gov to create a new claim or check on the status of an existing claim. •	Wednesday, Dec. 5 – A representative from the Pennsylvania American Legion will visit my Tunkhannock district office from 9 a.m. to 1 p.m. Area veterans may seek assistance and information pertaining to specific benefits and programs. To make an appointment, please call (570) 836-4777 to reach the office, which is located at 133 W. Tioga St., Suite 4. You do not need to be an American Legion member to take advantage of this service. appointment. As was announced at my November veterans’ event, admission to the Misericordia University Community Choir’s Thursday, Dec. 6, performance entitled “Carols From Around the World” is FREE to all veterans. The concert will begin at 7:30 p.m. in Lemmond Theater. 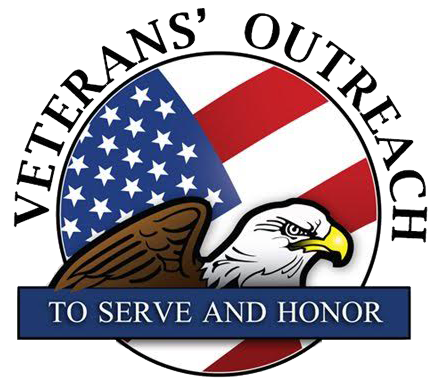 •	Tuesday, Dec. 18 - Veterans outreach hours will be held from 10 a.m. to 2 p.m. at the Dallas district office, 105 Lieutenant Michael Cleary Drive. A claims consultant from the Wilkes-Barre VFW will be on hand to address questions and concerns of local veterans and their families. 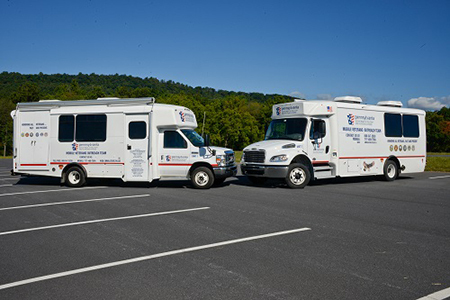 •	Friday, Dec. 21 - The Mobile Vet Center will be available from 10 a.m. to 2 p.m. in the Brady and Cavany Ace Hardware Store parking lot, 809 Hunter Highway, Eaton Township. Some of the services available for veterans and their dependents include individual, group, family and bereavement counseling; medical referrals; assistance in applying for Veterans Affairs benefits; employment counseling; guidance and referrals; and alcohol and drug assessments. Congratulations to Timothy J. Weaver of Dallas, who took a 708-pound male bear during Pennsylvania’s recently-completed bear season. 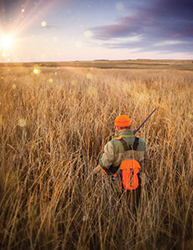 Tim was successful using a rifle in Harvey’s Lake Borough to take the season’s second-largest bear. …a representative from the University of Scranton Small Business Development Center will visit the Tunkhannock district office Wednesday, Dec. 19, from 10 a.m. to noon. The University of Scranton Small Business Development Center provides educational programs and no-cost, confidential consulting services to entrepreneurs looking to start or grow a small business. The Medicare Open Enrollment period…. ….continues through next Friday, Dec. 7. During this time, you may make changes to various aspects of your coverage. 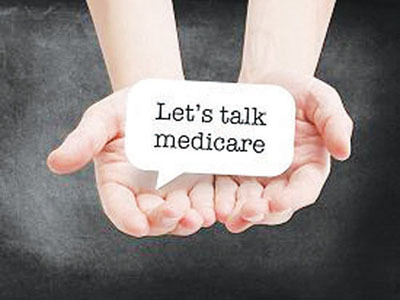 If you have questions about your Medicare coverage, APPRISE, the State Health Insurance Assistance Program in Pennsylvania, has counselors who are specifically trained to answer your Medicare questions. Please click here to schedule an appointment close to where you live.